The Mission's vision is that of exploring mankind's spiritual upliftment through a worldwide spread of the Universal Message of Guru Nanak. The Mission's main devotion is spiritual upliftment by spreading far and wide, the teachings and messages embodied in Sri Guru Granth Sahib, Guru Granth Ji Maanyo Pragt Guran Ki Deh meaning thereby that Sri Guru Granth Sahib should be worshipped as their living Guru. After a succession often embodied Gurus from Guru Nanak, the first and Guru Gobind Singh, the tenth Guru, it was decreed by Guru Gobind Singh that there would no more be any embodied Guru as his successor, as he proclaimed the divine order for all his followers to worship Sri Guru Granth Sahib as the living embodiment of the Gurus. 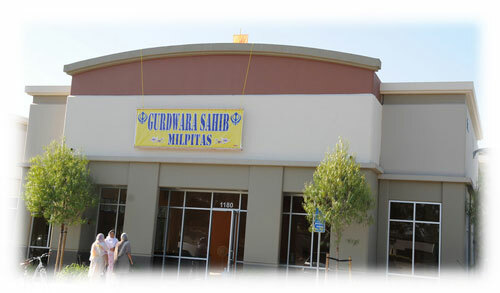 Congratulations to all Sikh Community at the grand opening of Gurdwara Sahib in Milpitas. Gurdwara organizers are thankful to all who made donations, participated at the auspicious occasion and promised their donations. Also our gratitude to the Milpitas City officials. (c) 2009 wyrespeed solutions llc.